Preheat the oven to 400 degrees F. Line 6 muffin cups with foil liners or grease using your preferred method – I used a little butter and dusted it with extra cocoa powder. Foil cupcake liners would probably be ideal. 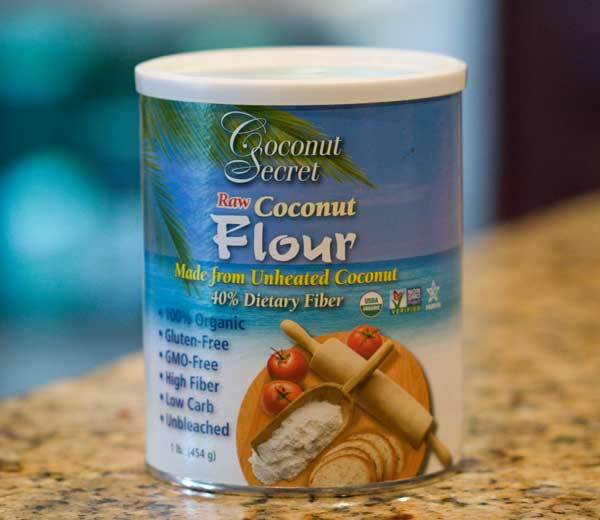 Mix the coconut flour, cocoa powder, baking powder and salt together in a bowl and set aside. In a small mixing bowl, whisk together the eggs, milk, agave, melted butter, and vanilla. Add the flour mixture to the liquid mixture and stir until blended, then add chocolate chips. Divide batter between 6 muffin cups and bake for about 15 minutes or until muffins appear set. Let cool in the pan for about 10 minutes, then carefully remove from muffin cups. Note: Since the recipe calls for baking powder and baking powder is acidic, I used Dutch process cocoa powder, which is alkaline. I thought the two might react better. If you use natural cocoa powder and baking powder, two acidic ingredients, you might get different results – maybe good, maybe flat. I have only tested with Dutch process cocoa (neutral) and baking powder (acid).